On this bike tour we take you across the Chao Phaya on a 5 minute trip on a long tail boat to discover a side of Bangkok few people know of. The scenery will totally change from skyscrapers to luxuriant nature, with banana and coconut trees all around. From busy traffic road to serene narrow walk way. From roaring sound of vehicle engine to cherping sound of birds and a sound of wind breezing through bamboo and tree leaves. It’s a true paradise for bicycling in Bangkok. This is a place where land surrounded by Chao Praya river becomes an isolated island. Time magazine, "The best of Asia 2006", gave this place the best of urban oasis. This place is called Bang Krajao and is known as Bangkok's lung. It is in Prapradeang district of Samutprakarn province. 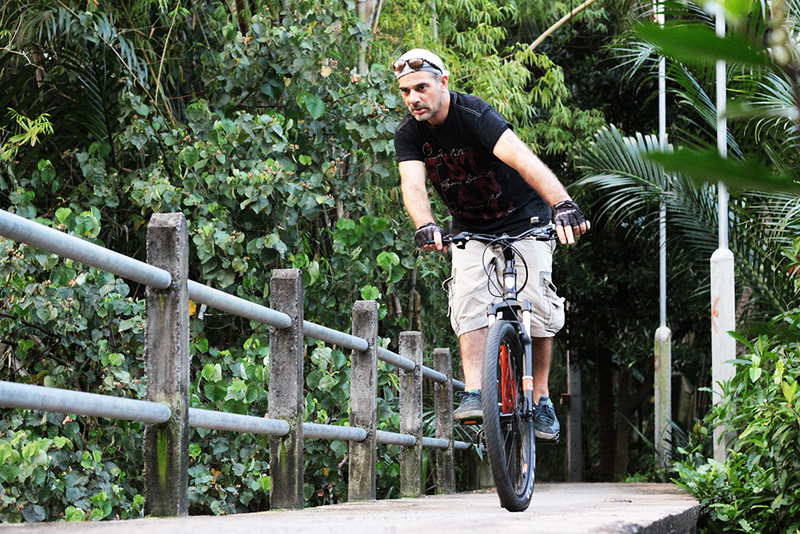 Cycling through this area, out of the city's pollution, you will notice the slower pace the locals lives at. You will spot Monitor lizards rushing into the water as you pass by and occasional turtles on the road side. The area of 30.89 sq. meters acts like a filter clearing urban pollution. This area is to be preserved as a green zone. The majority of the land is occupied by orchard with houses within fair distance from each other. The atmosphere is peaceful in the shade of trees. This is a trip will surprise you, Quietness so close to Bangkok's chaos is like heaven on earth. The ride is a total of 25km. and the tour takes approximately 6 hours, usually finishing at around 3 pm but this is variable by group. ride a bike will enjoy this ride. Imported 24-27 speed TREK mountain bikes.